The Joan Aiken Future Classics Prize 2019, run by AM Heath and Lizza Aiken, has today opened for entries to find a standout new voice in middle-grade fiction. The winner of the inaugural prize, which launched in 2017, was Tim Ellis. Ellis' novel Harklights was recently sold at auction to Usborne and it will be published in 2020. 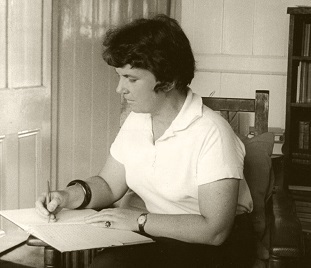 Joan Aiken (pictured) was the prizewinning writer of over 100 books for young readers and adults; her best-known series was The Wolves Chronicles, of which the first book The Wolves of Willoughby Chase was awarded the Lewis Carroll prize. The 2019 prize will be judged by Julia Churchill, children's book agent at AM Heath, and Lizza Aiken, daughter of Joan Aiken and curator of her Estate. The winner will receive £1,000 and a full set of The Wolves Chronicles. All shortlisted writers will have the chance to meet with Julia Churchill to discuss their work. Churchill said: "If I think of my childhood reading, it's the classic 8+ novels that filled so much of my imaginative landscape. The Wolves of Willoughby Chase, Charlotte's Web, The Borrowers, Goodnight Mr Tom, The Witches. With these novels my reading took a jump. The scope of the stories was wider, deeper, darker than I'd read before. 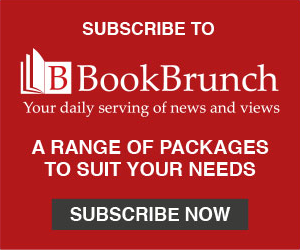 We are looking for a standout junior novel. It could be contemporary or fantastical, it could have the makings of a series, or be one crystalline stand-alone. We know we're setting the bar high. We hope to find a book that will be in print in 50 years, as Joan achieved with the Wolves series – and many more of her books." Lizza Aiken said: "Books have completely shaped my life. I agree with Joan Aiken that 'A book isn't only a thing in your hand - it's a thing in your mind as well. Once you have read it, if you enjoyed it and remember it afterwards, it is like a sort of invisible treasure-box that you can carry about with you and unpack whenever you want to.'"